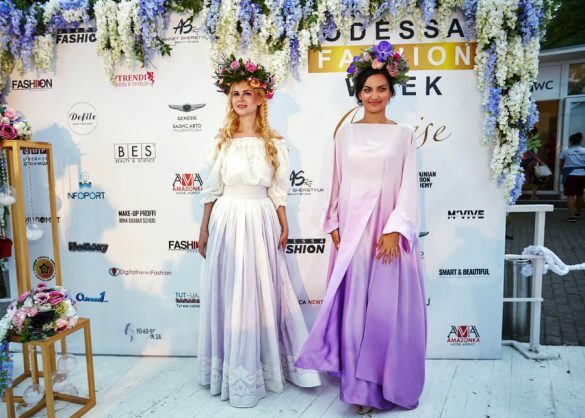 07-08 July at the height of the tourist season, the eighth season of the Odessa Fashion Week Cruise took place at the beach complex Mafia Rave Terrace, located on the Black Sea coast. 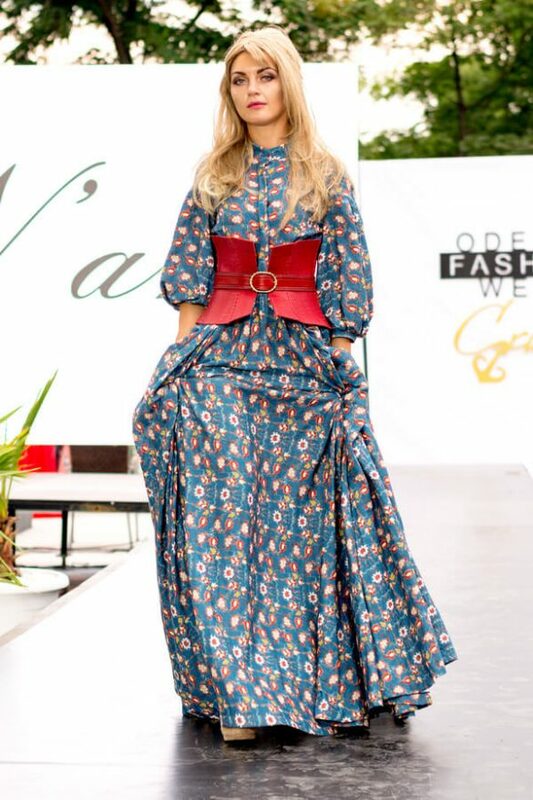 25 designers from Ukraine, Belarus, Tajikistan and Moldova demonstrated their cruise collections: ELEN GODIS, N`ART, ELLEN MUHLBERG, GAPTUVALNYA, SUZANI FASHION |TAJIKISTAN|, AUTOGRAPH, the FEY, JULIIA MAR, KATERYNA SAVCHENKO, SANTALI, KATRIN FOX, ROYAL FAMILY, CANDY KID, AnSUR |BELARUS|, PINKDREAMS by TANYA VASINA, PLAY FASHION & MARINA MARIBELLA, BLIK FOR STAR, KANGAROO KIDS, DREAMS & EMOTIONS, VALERIA KRYSA |BELARUS|, KARO.LINE |BELARUS|, M.Y.STUDIO |BELARUS|, DANI.KRISTINE |MOLDOVA| and STARLET. 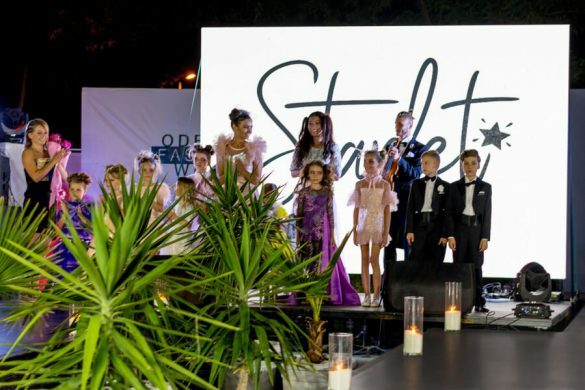 In addition to the main shows guests were pleased with the performances of special music guests. 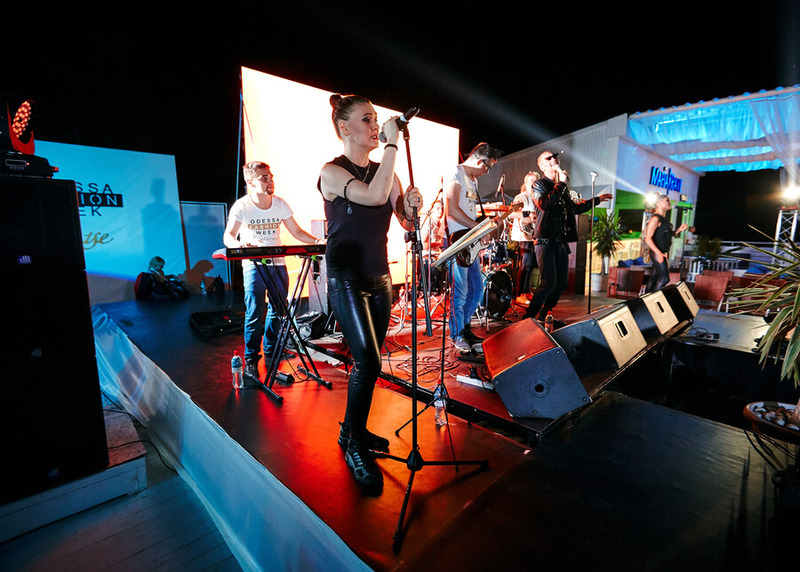 On July 7th JULINOZA band (future music), which won over the audience and the jury of such shows as the national selection of Eurovision and Voice of Ukraine will perform their music. 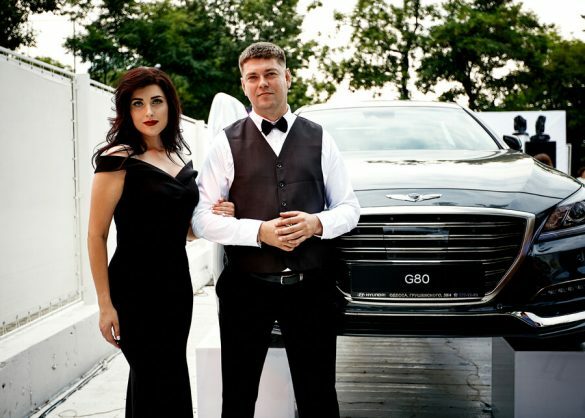 JULINOZA’s tracks can be heard on the top European radio stations, one of their albums even was released on a German label. 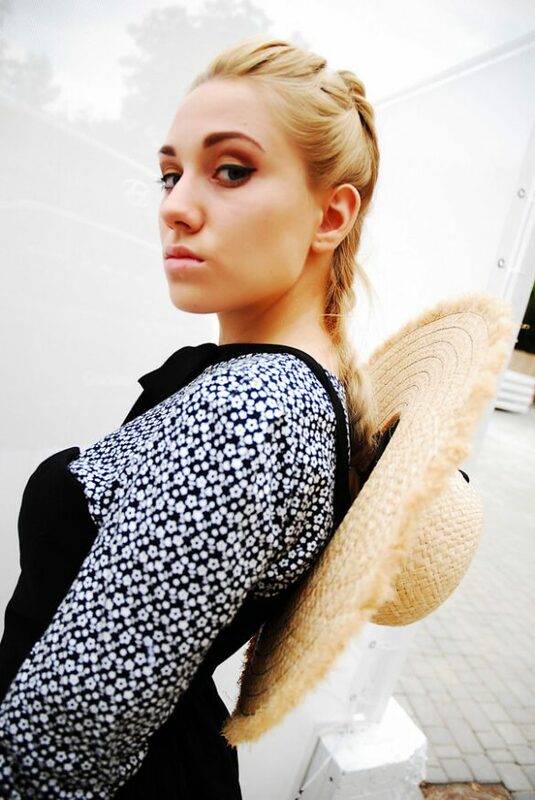 JULINOZA opens a world of new music in which you can feel the cinematography, breathing of alternative infusions of jazz, trip-hop and electronics. JULINOZA is a duet of the vocalist and composer, the author of texts and arrangements – Julia Zaporozhets and one of the most extraordinary drummers of Ukraine – Igor Chebotarev. 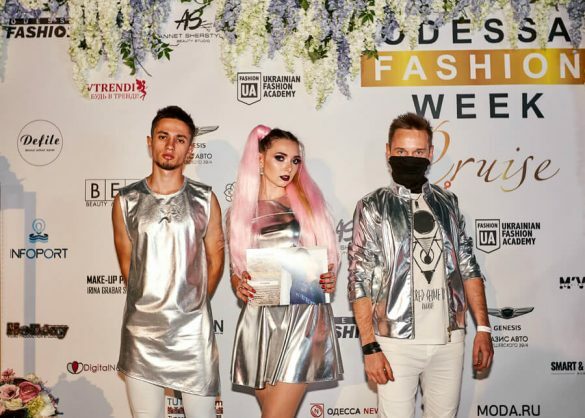 VOINIKOV & BAND closed the first day of the main shows, presenting for the first time the solo program DOSE with the participation of the Voice of Ukraine super finalist Yulia Lunga. 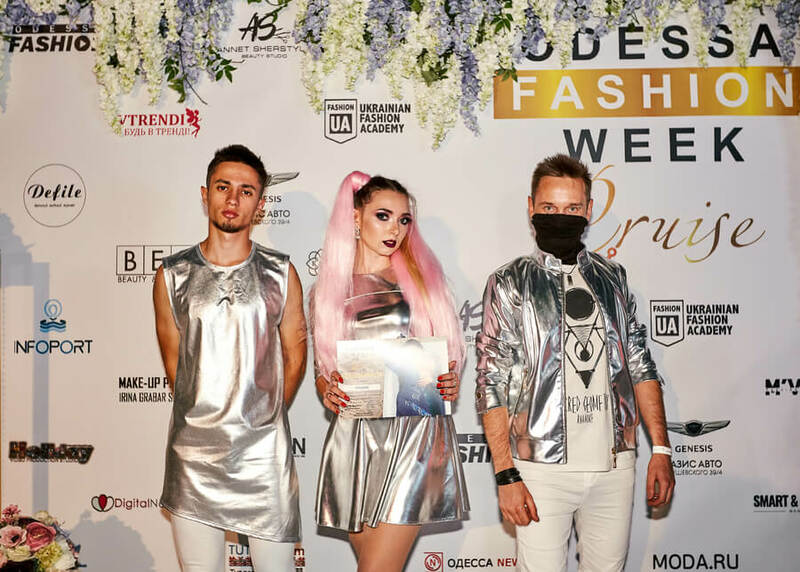 On July 08th guests were waiting music of the future from rock band ORIONIX with experimental mixes of styles and a gentle girlish voice with deep lyrics. 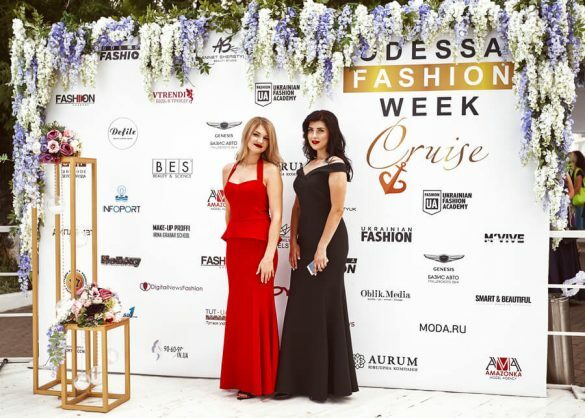 At the final part of the last day of Odessa Fashion Week Cruise was performed by an incredibly charismatic and talented blonde with the appearance of a Hollywood star and a real Ukrainian flavor that can be safely called the brightest Ukrainian pride – SoloHa! 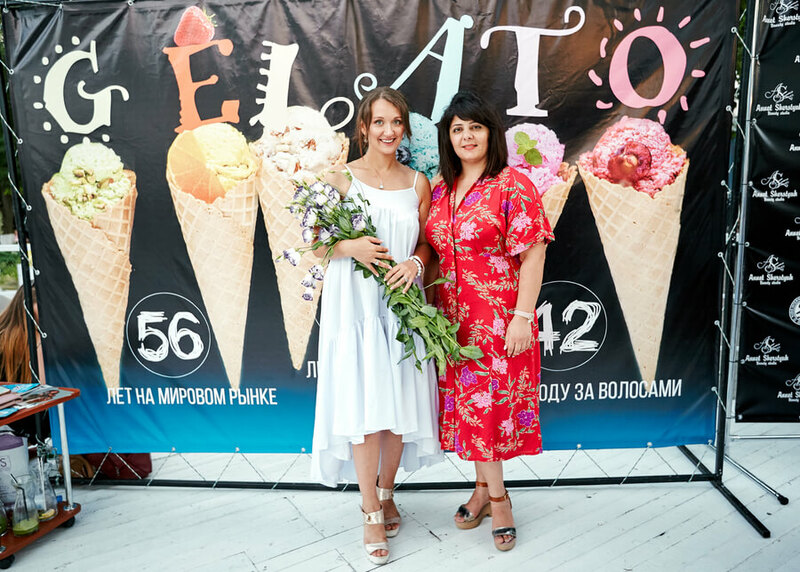 The event was held with the support of partners who prepared pleasant bonuses for viewers and held prizes. 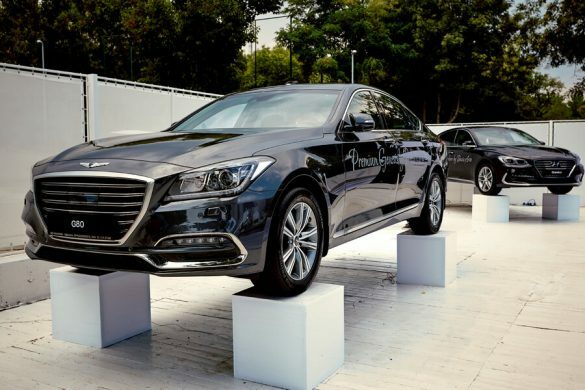 Official dealer of Hyundai and Genesis cars – the company Bazis Auto presented the audience with two new Genesis G80 and Grandeur cars, individually advising everyone on the technical innovations of the presented cars. Jewelry House KSD AURUM – an all-Ukrainian chain of multi-brand jewelry stores has conducted among Odessa Odessa Weekly Cruise guests a raffle of six silver pendants and one gold with a diamond. 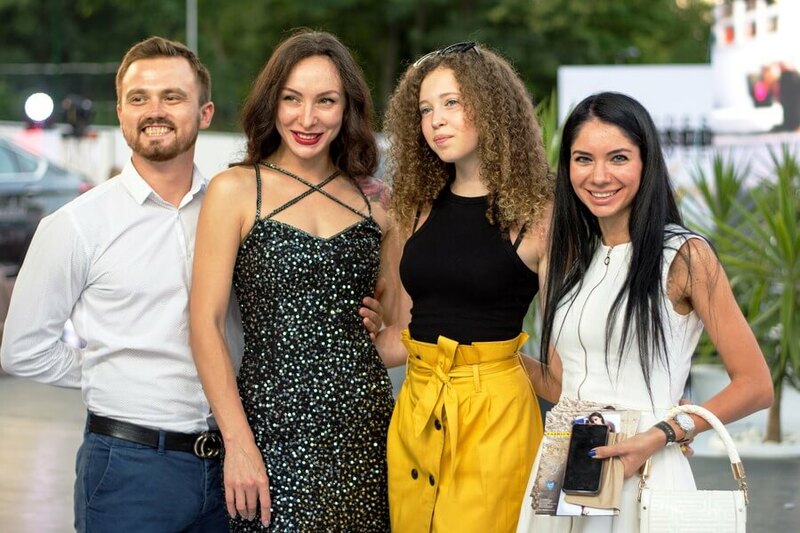 Absolutely every guest of the shows had the opportunity to get from the representatives of professional cosmetics for hair BES – beauty, experience and science, gift certificates with a discount of -15% for all products that will be valid for one month. 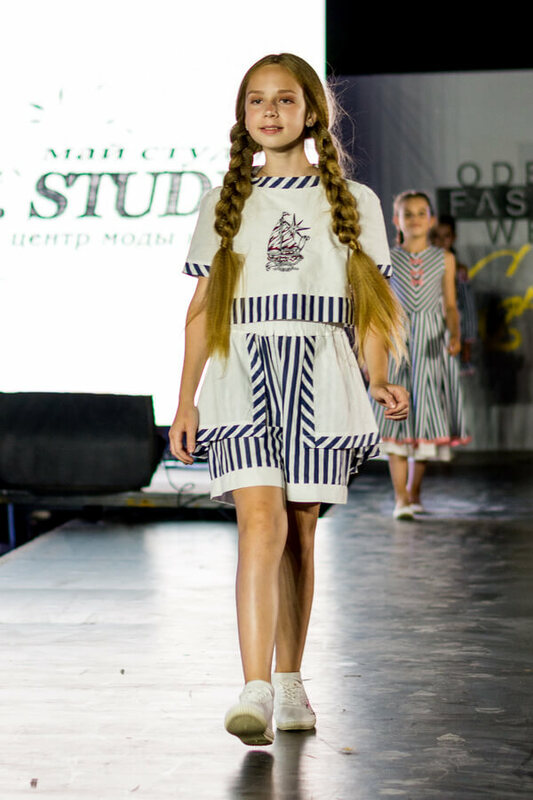 Ukrainian Fashion Academy presented the first all-Ukrainian edition of the intellectual gloss about the Ukrainian fashion – Ukrainian Fashion magazine, the cover of which was adorned by the charismatic SoloHa. 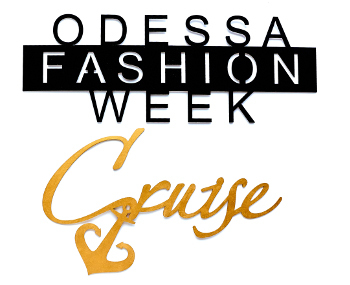 Official partners of Odessa Fashion Week Cruise also became author’s school of make-up Irina Grabar Make-Up Profi, Beauty studio Annet Sherstyuk, model agencies Amazonka Models and Royal Family Models. 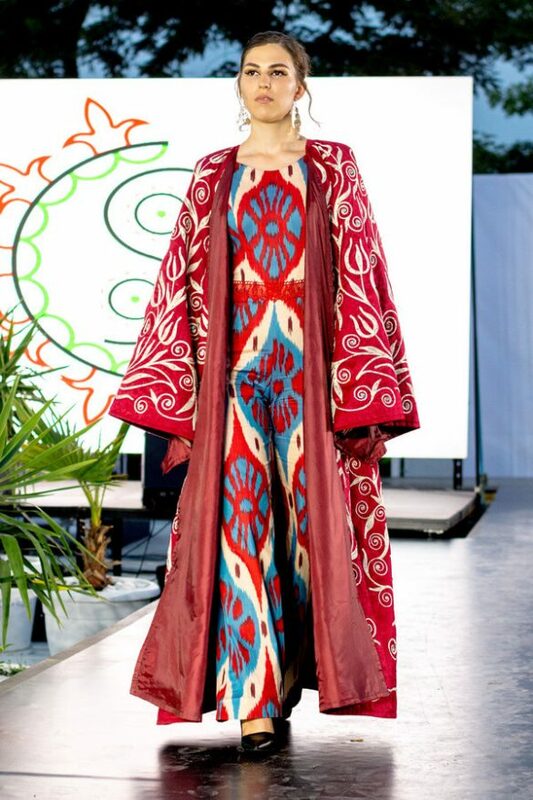 Cruise collection “CHIC and SHINE” by Ellen Muhlberg, with her allusion to this theme, plunged everyone in the 1920s: bohemian chic and refinement, careless gloss of creative hypostases, ease on the basis of permissiveness, fashionable rebellion, femininity, and easy eroticism. 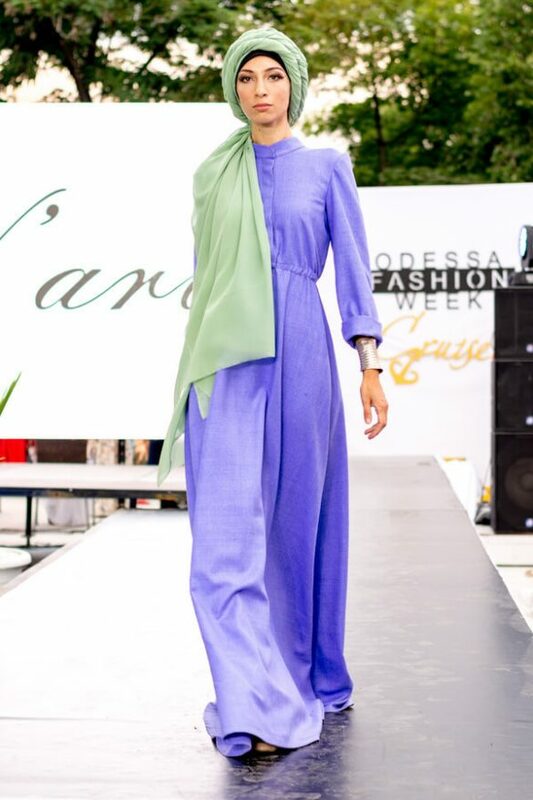 The cruise collection from GAPTUVALNYA is an unusual cut, airy lightness and refinement. The motto of the collection: “Put on your summer in weightlessness, allow yourself to make it unforgettable”. The new collection of N’ART De Nimes is woven with the gentle rudeness of the classic Selvij jeans, the comfort of the batiste and the flowing coolness of silk. The brightness of the satin, the shine of chiffon, the tenderness of the guipure and the radiance of the stones under the warm rays of the sun – it all came together in the Autograph cruise collection. 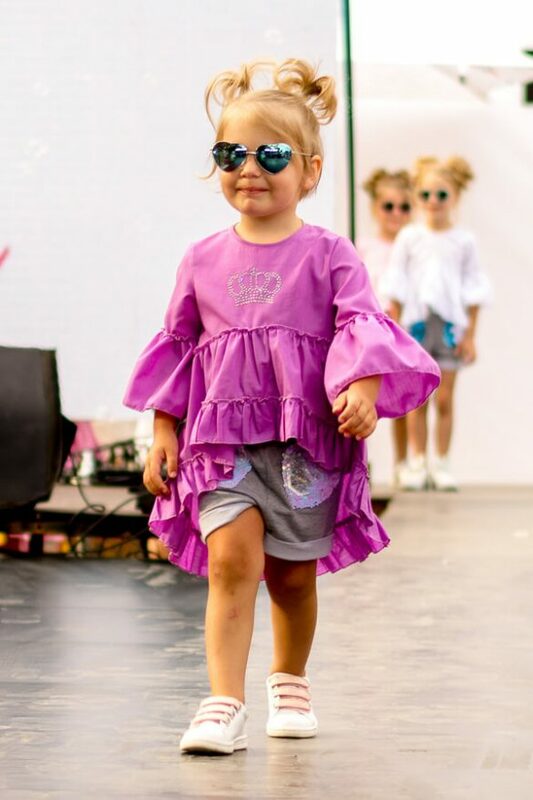 “I love everything bright and beautiful, not only in things, but also in people, and when it all comes together, it turns out to be an explosion! It was these emotions that I wanted to achieve by creating my cruise collection “- said the designer Alesya Yakusevich. 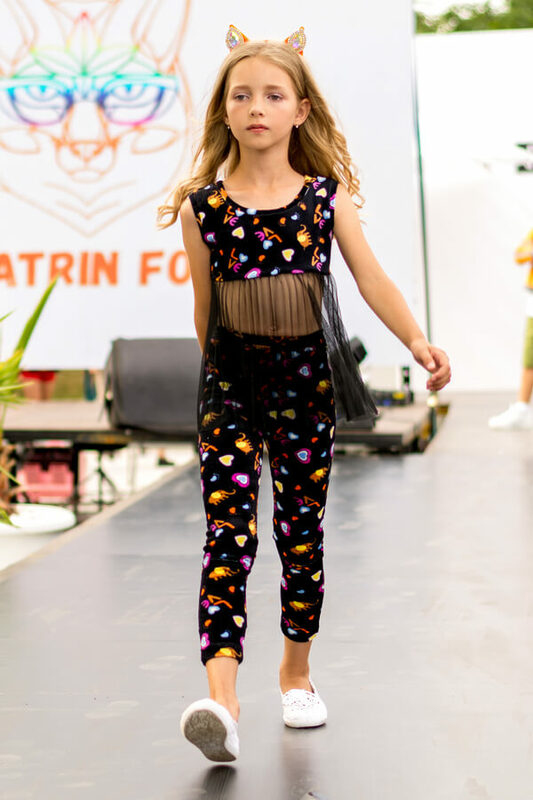 In the cruise season the FEY presented a number of separate capsule collections, each of which is individual and tells its story – a story about different women, different worlds and different lives. 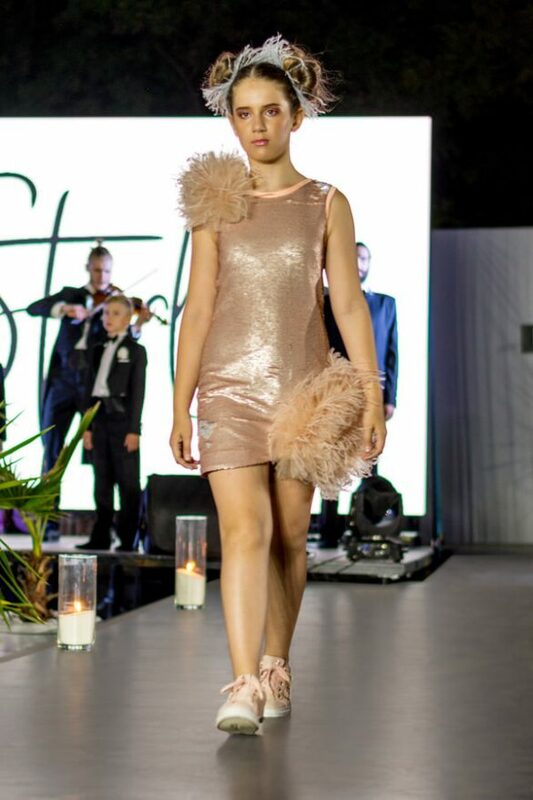 And they are all united by one common idea – to show how different can be femininity and how many there are all kinds of ways to show it without losing yourself. 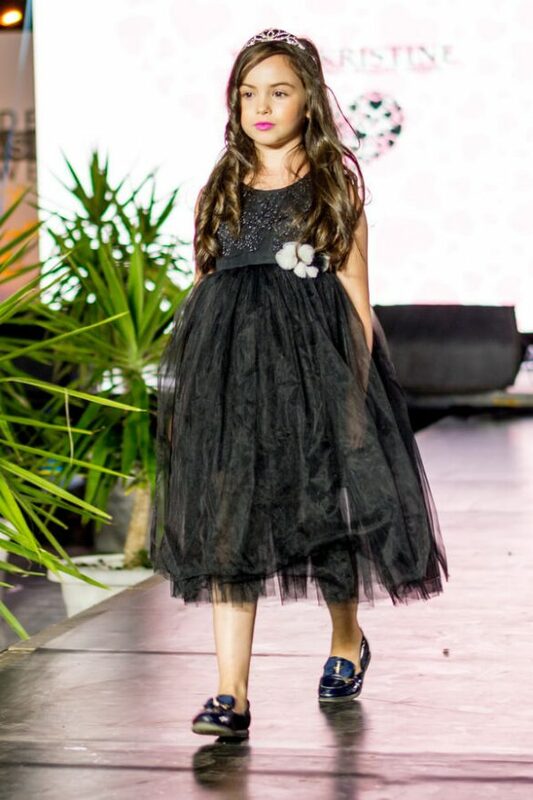 In the cruise season JULIIA MAR presented the collection Moon light, which used thin flowing fabrics: silk, chiffon, satin, lace and sequins. 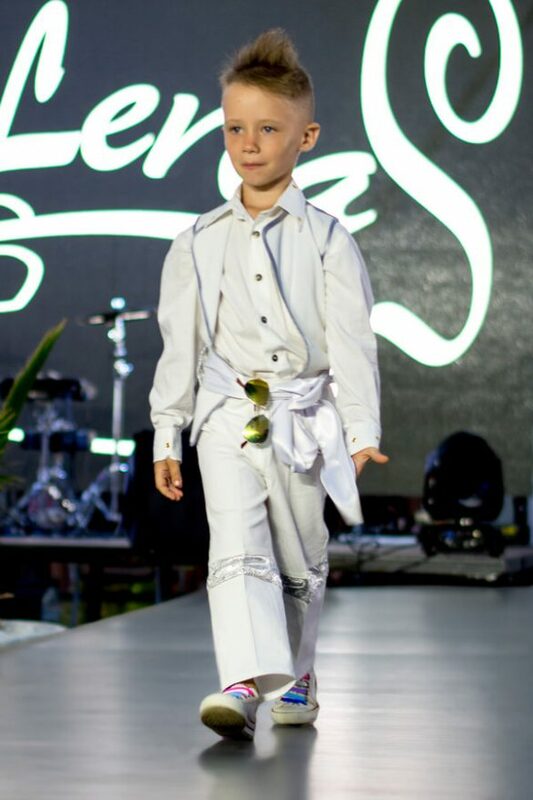 Everything is harmoniously combined, thanks to the work done with the sketches and the source of inspiration – the moonlight. 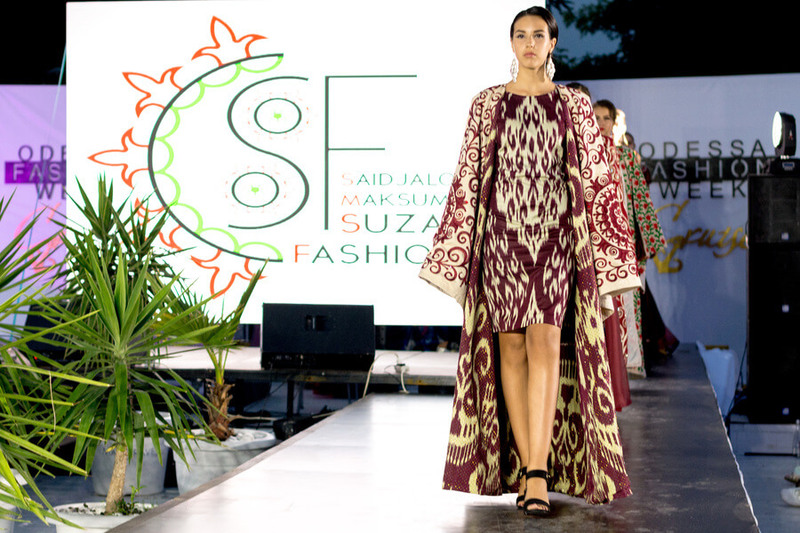 In the cruise season designer from Tajikistan – Saidjalol Makhsumov presented a collection of national dresses with bright, beautiful and meaningful ornaments of Tajik culture that will underline the character and mood of Tajik women. 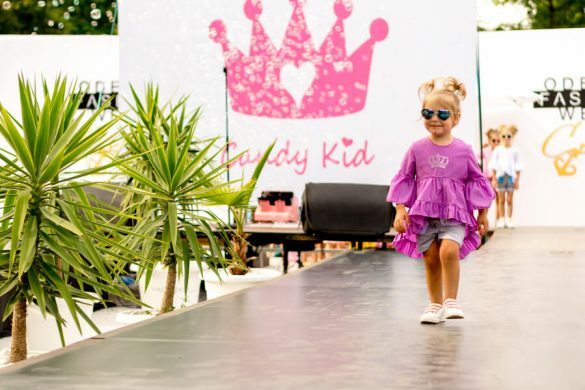 In the new cruise season, Candy Kid presented an exclusive, bright, summer collection of Miss Candy, combining several colors with the transition of the obmere. 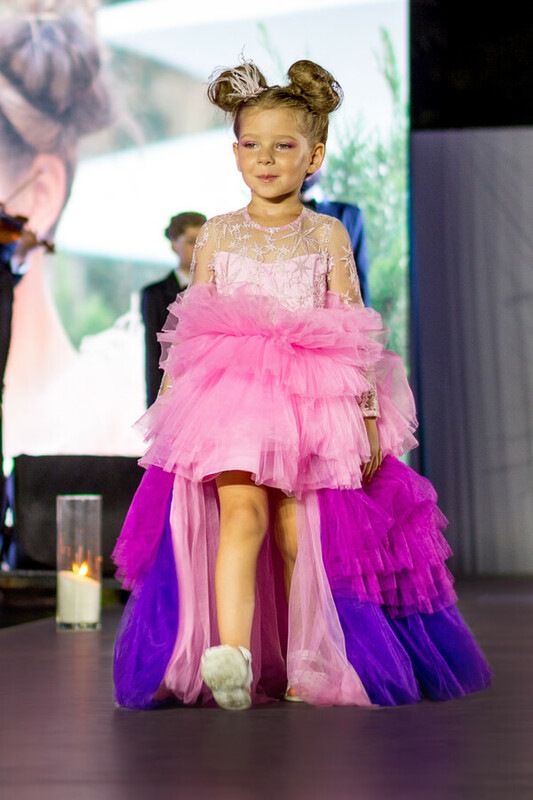 Great wings, tulle tenderness and, at the same time, gracefulness – all that will draw the attention of others to my beloved princesses, “said Victoria Slivchenko, the designer of the brand. 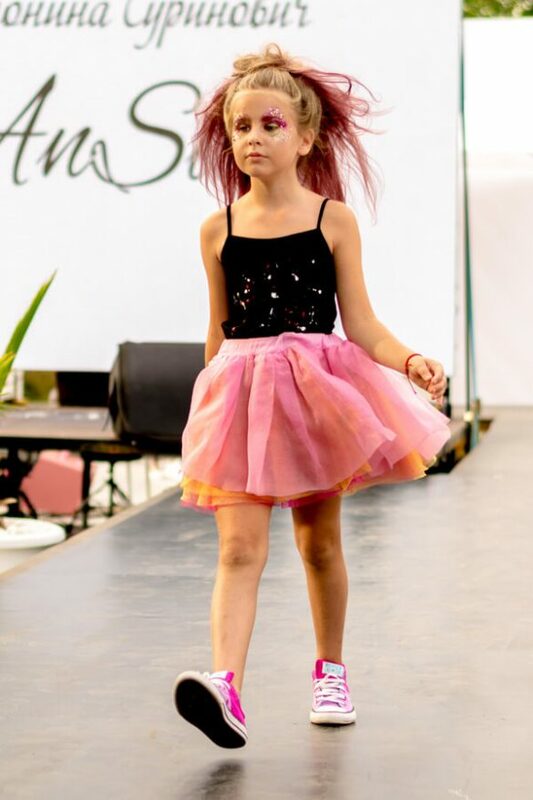 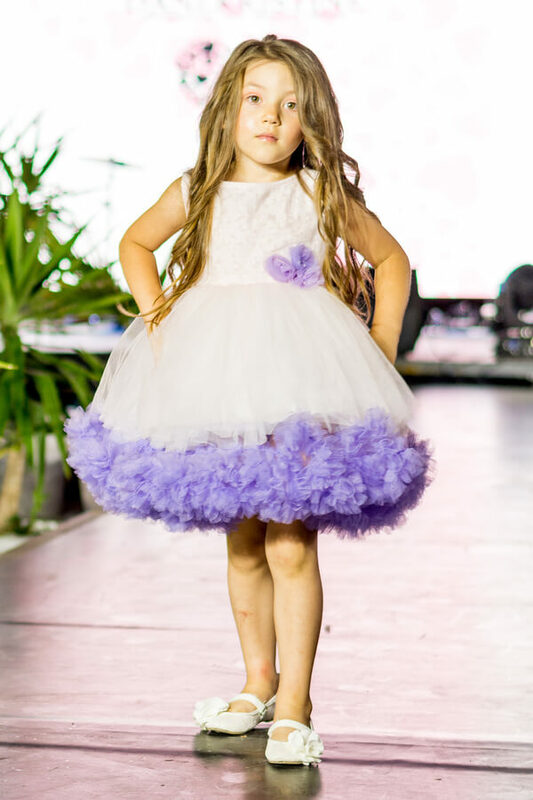 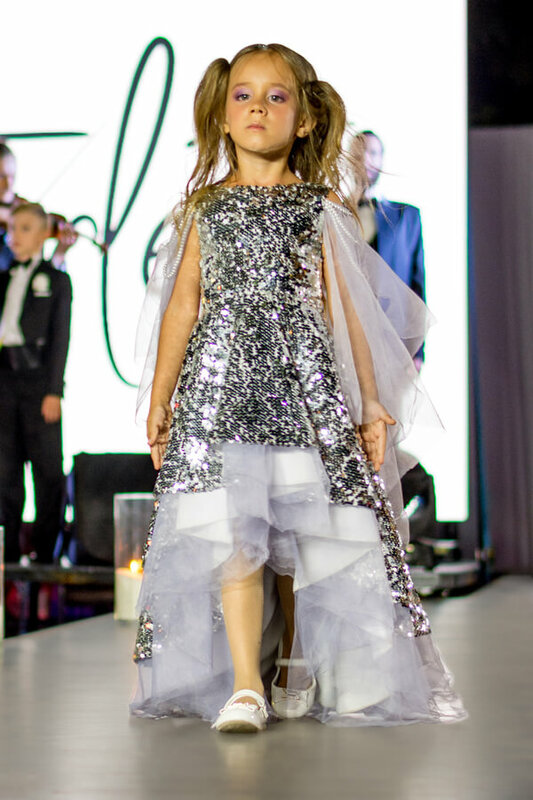 In the cruise season, Antonina Surinovich, the designer of the Belarusian brand AnSUR, presented the Disco collection together with the modeling agencies TI KIDS (Belarus) and Odri models (Odessa). 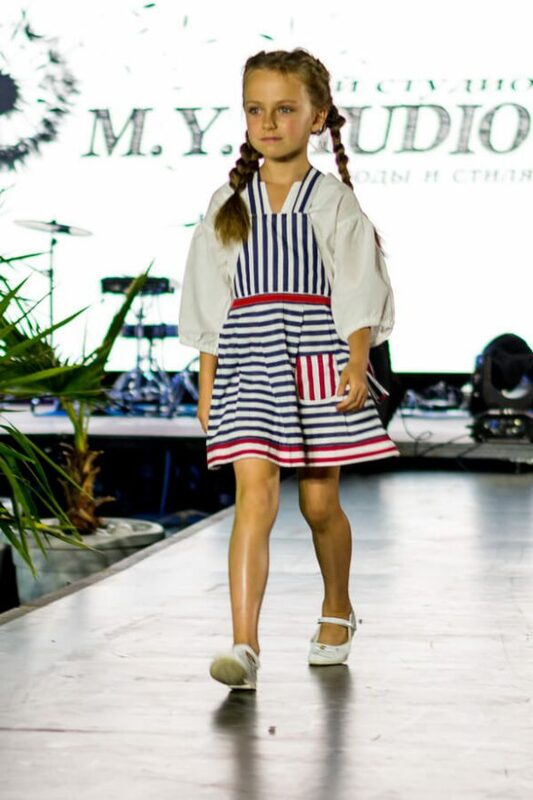 The collection is made of classic denim and tulle with exclusive stripes and hand-painted fabrics, which is the business card of the designer. 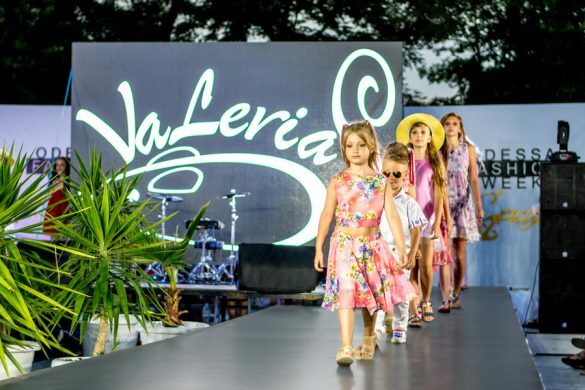 The motto of the cruise collection Pinkdreams by Tanya Vasina – sea, sport, beach! 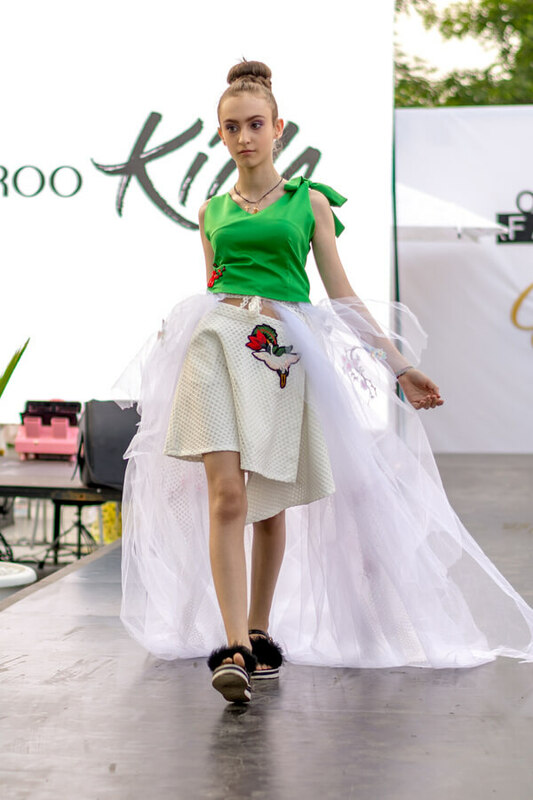 This is a collection of summer skirts and shorts, bikinis and tops from two types of seemingly incompatible fabrics – natural cambric and neoprene. 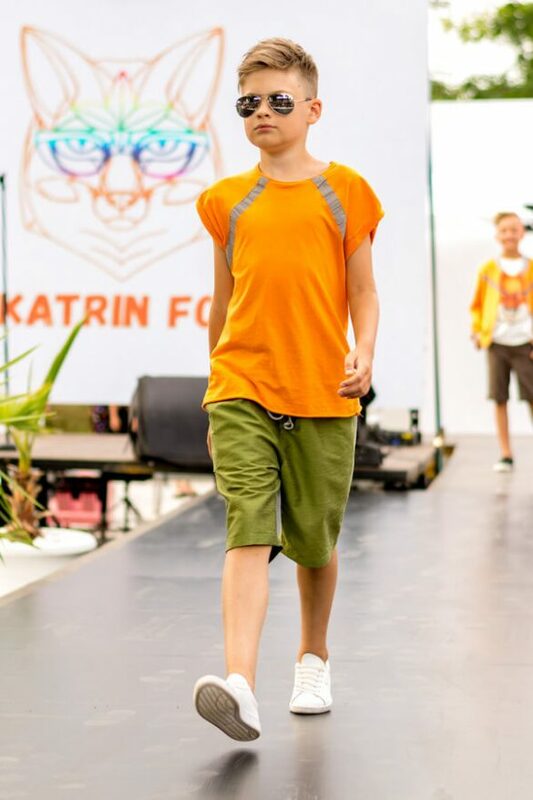 And in combination with bright printed elastic bands with inscriptions the collection looks even more sporty and modern. The collection of Coral rain by the designer Marina Maribella is very different from the usual collections for children. 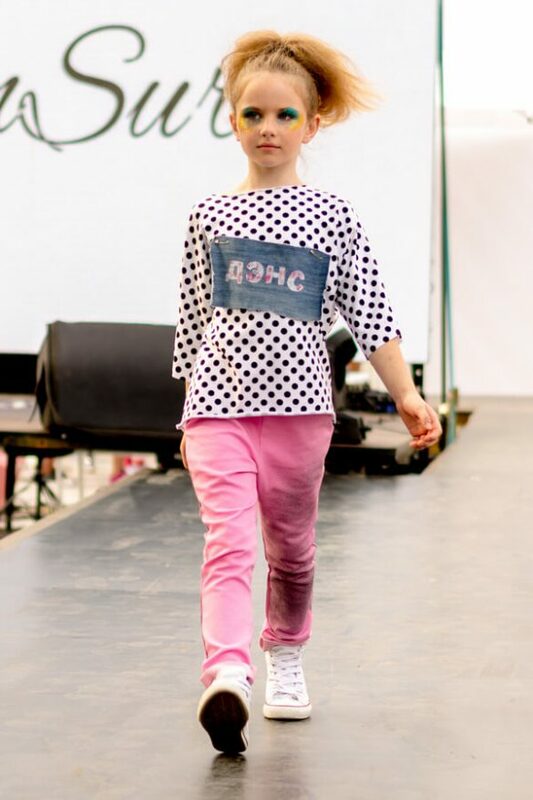 This is a modern approach to children’s fashion. 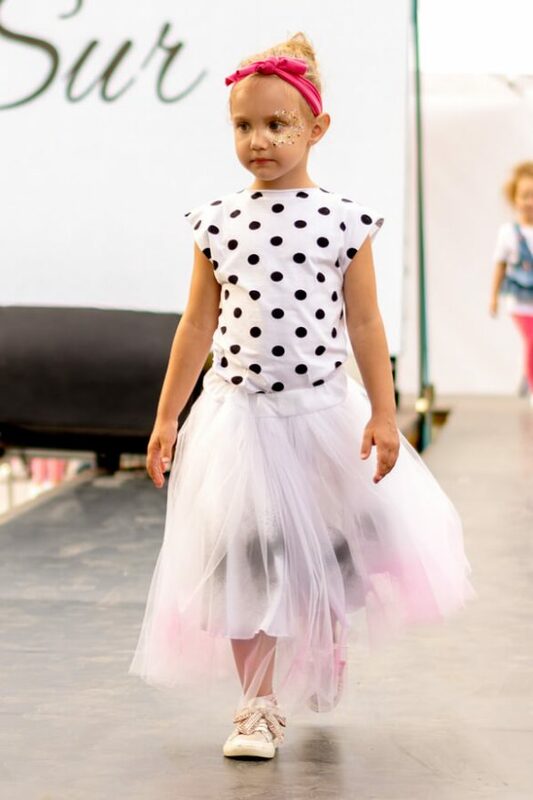 Costumes are made of expensive modern fabrics, and the color palette combines many gentle sparkling shades. 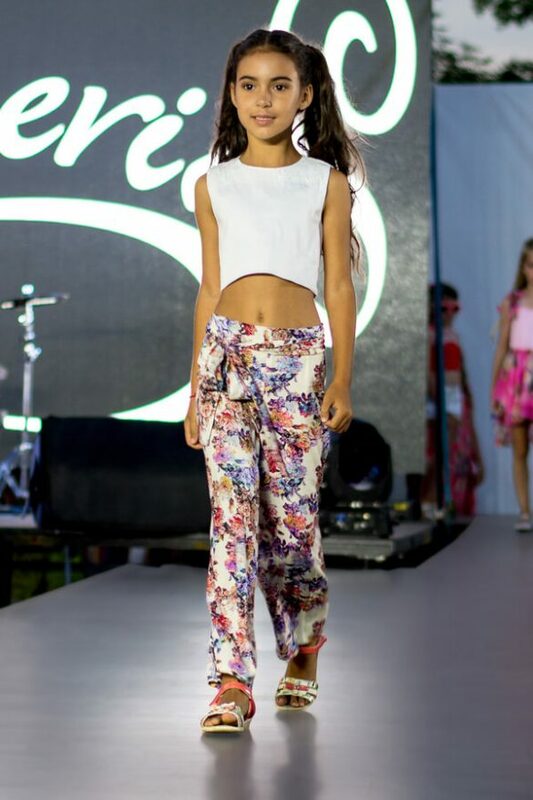 Silhouettes play with light and get a magical look. 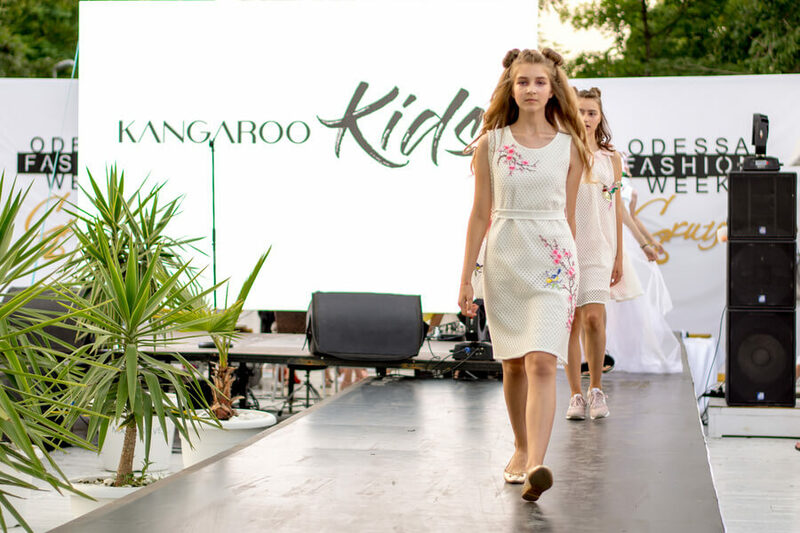 BLIK FOR STAR presented a stylish collection of clothes for the school, made of dense Italian knitwear, which gives a special comfort. 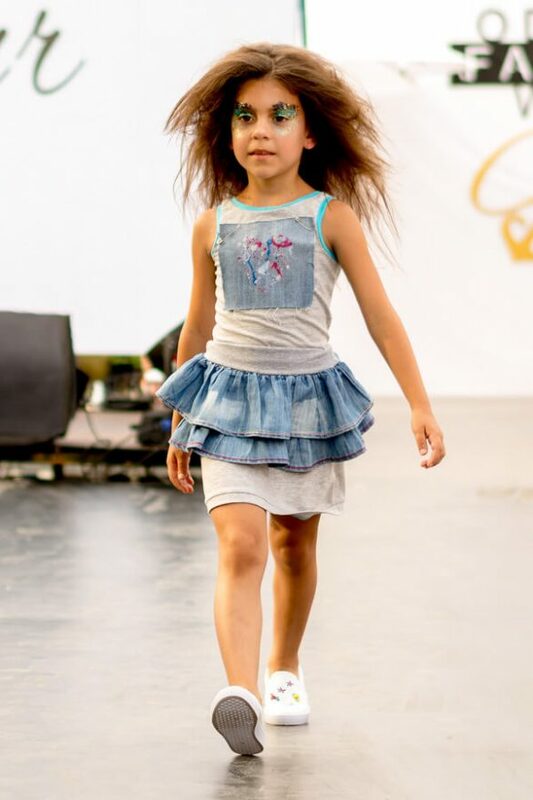 The school is a small life, and BLIK FOR STAR knows how to make it beautiful, stylish and comfortable. 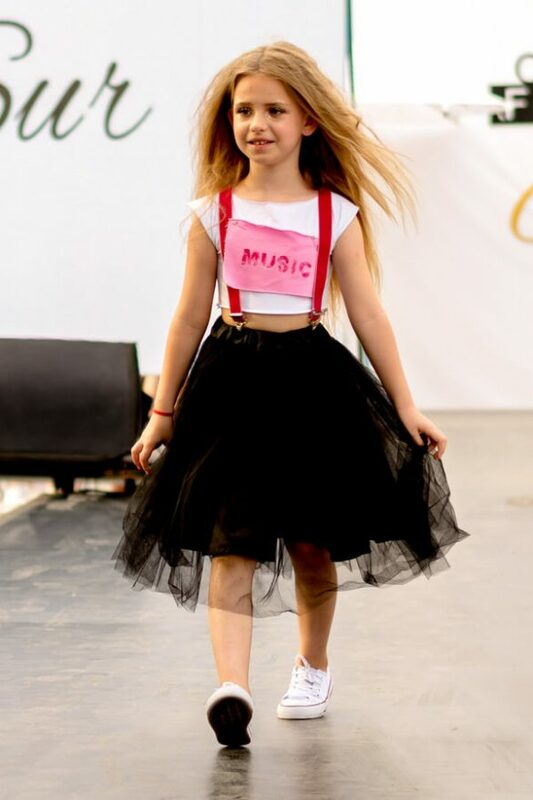 In the school uniform from BLIK FOR STAR, no one will go unnoticed! The Kangaroo Kids brand is quite young and appeared on the market in the spring of 2018 thanks to the male half. The brand designer Anastasia Belous decided not to stop and release a collection for girls, as well as Family look, so that children could always be in a trend. 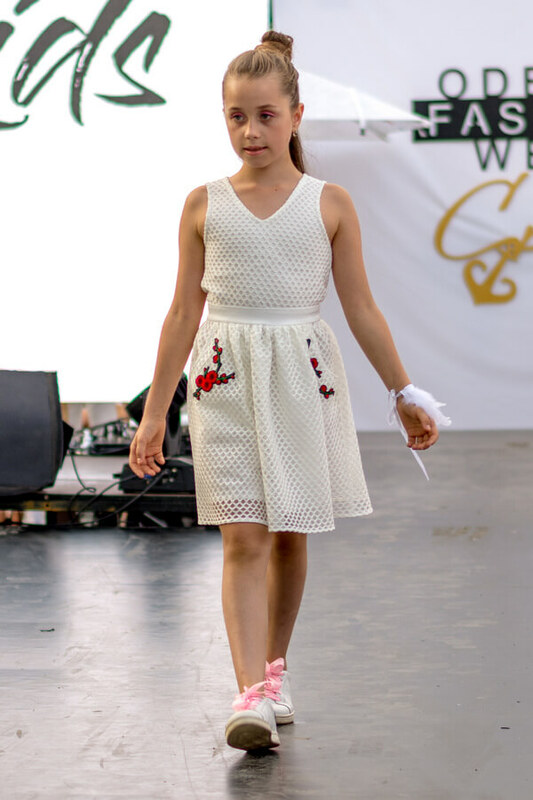 Cruise collection «Like a bird» is presented in white color in combination with appliqués and embroidery in the image of birds and sakura, which gave a special note of tenderness to models. 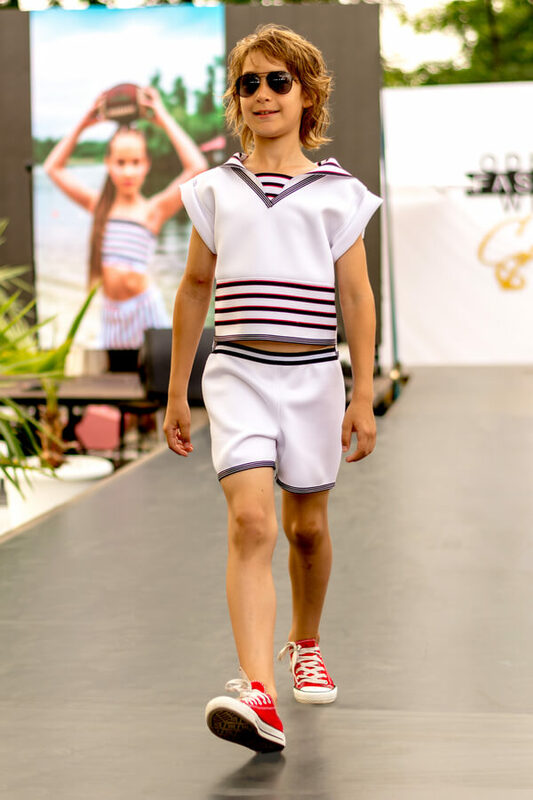 In the cruise season, Dreams & Emotions TM presented the collection in a marine style with the use of lightweight air fabrics, decorated with hand-made belts. 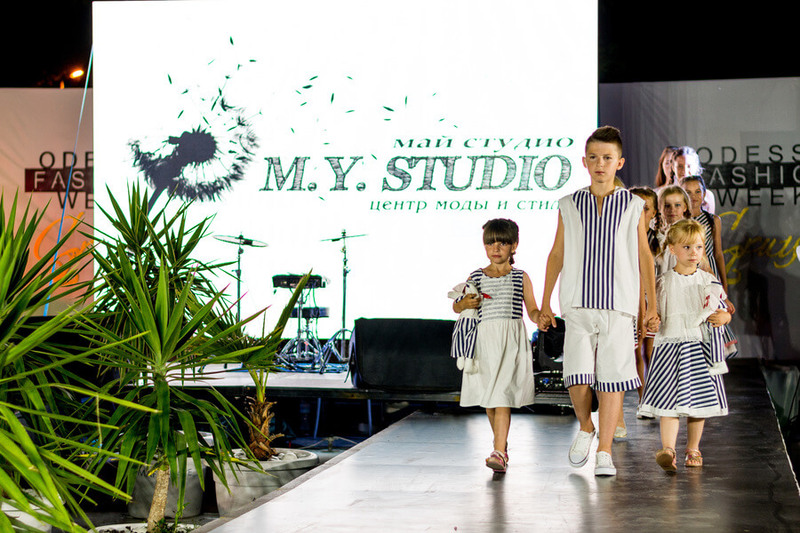 In the cruise season the Belarusian designer Valery Krysa presented the collection “Mother’s joy”. 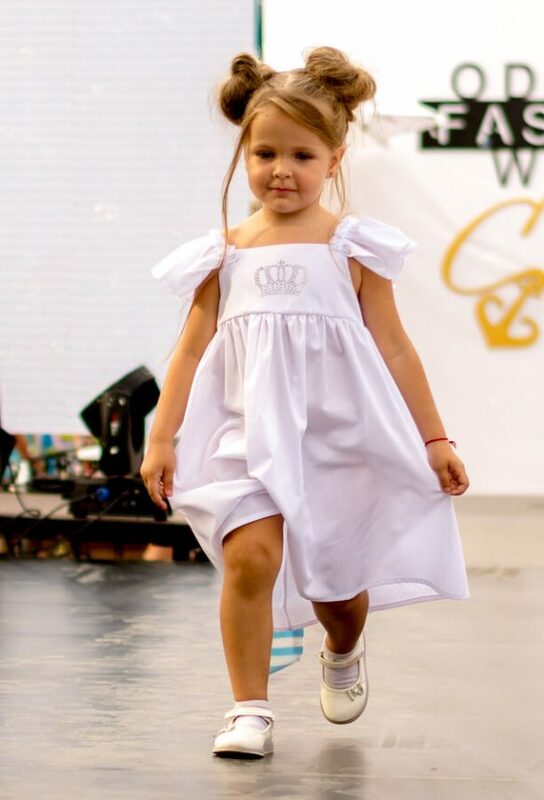 This name is not chosen by chance, because every child is the joy of the mother. 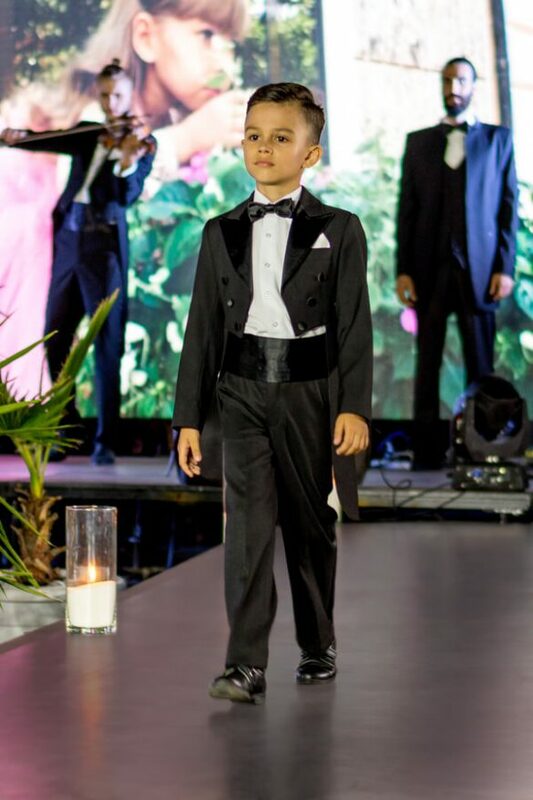 In the collection there are bows for children and adolescents – after all, no matter how an adult was a child – he is my mother’s joy. 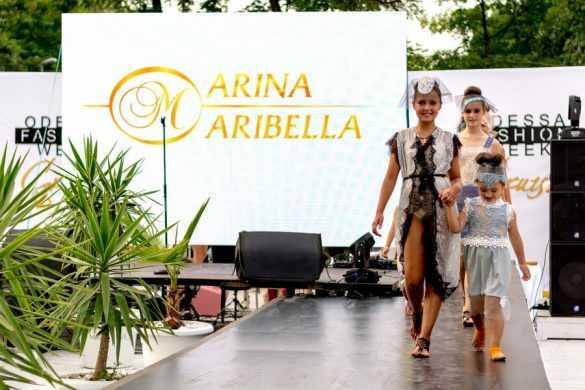 Also in the collection, special attention is paid to the image of the future mother – this is the most exciting time, and even at such moments it should be on top. The collection was demonstrated by the models of the Development and Fashion Center «Golden Kids». 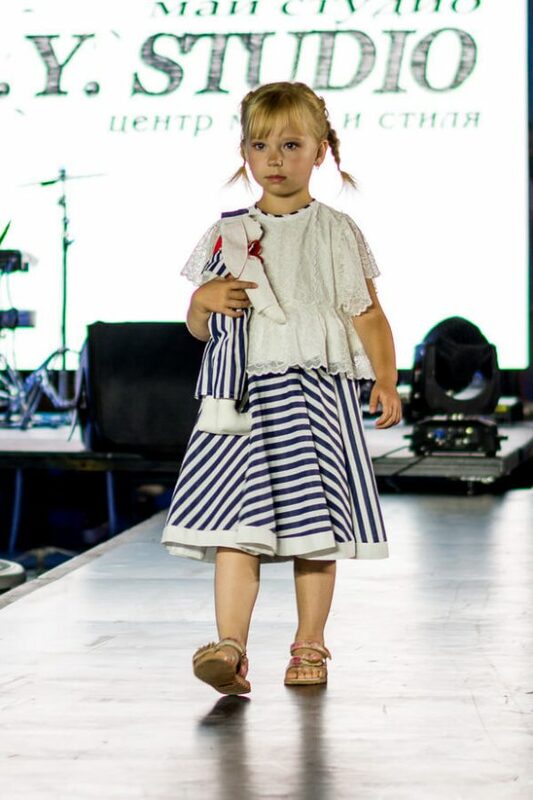 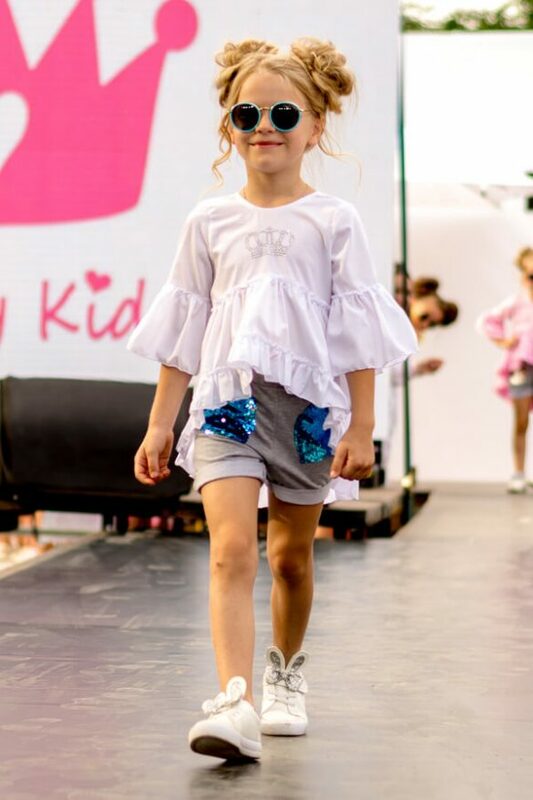 In the cruise season the fashion brand KKARO.LINE presented a modern and chic collection of children’s clothes “Zephyrka”, in which the classic style and modern elements are playfully combined. 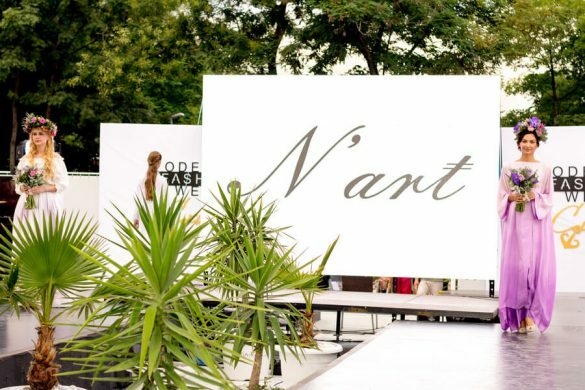 The collection is inspired by blooming gardens and the most tender spring wind, which easily plays in the hair. 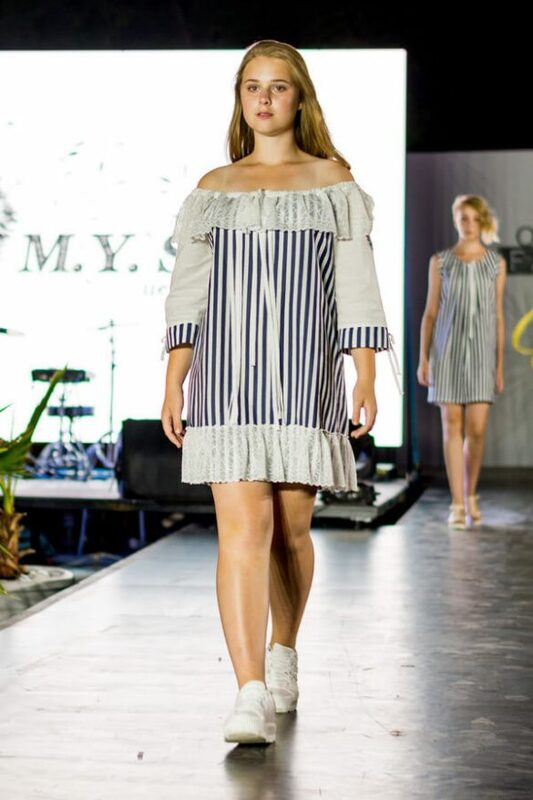 In the cruise season, M.Y. 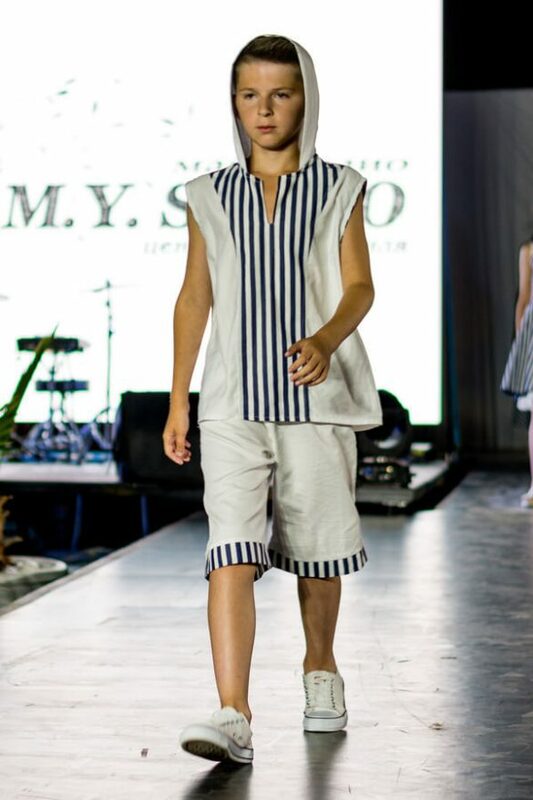 STUDIO presented a collection of summer clothes for rest from cotton fabric “Oceans of Steel”, which can rightly be considered an eco-collection. 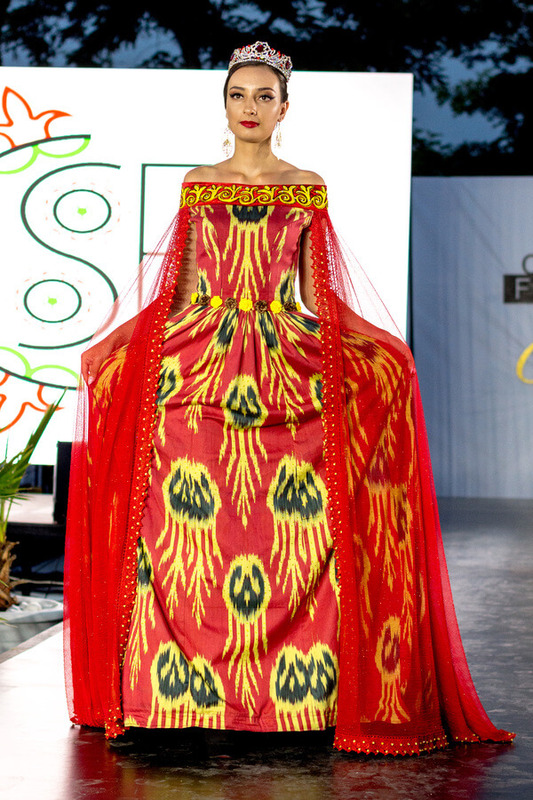 In the costumes, the technique of arranging the drawing is used, which makes it possible to play with the geometry of the costume as a whole. 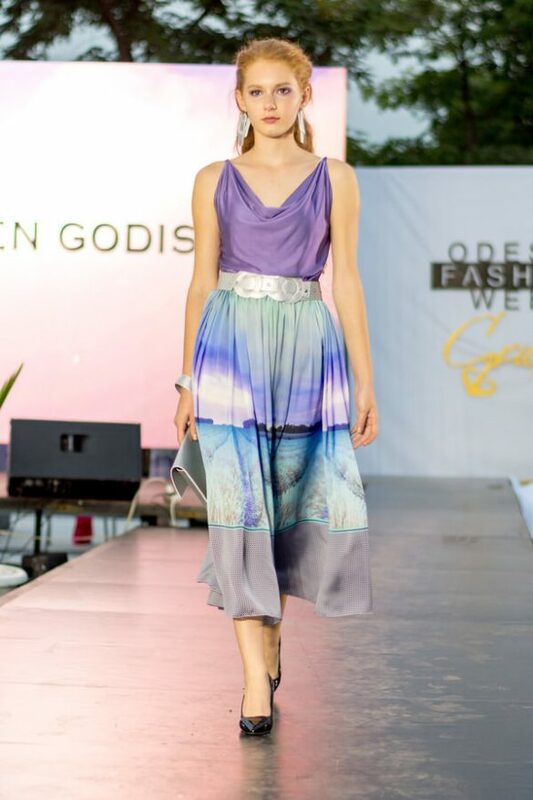 The color scheme of the collection is reminiscent of summer, sea and rest. 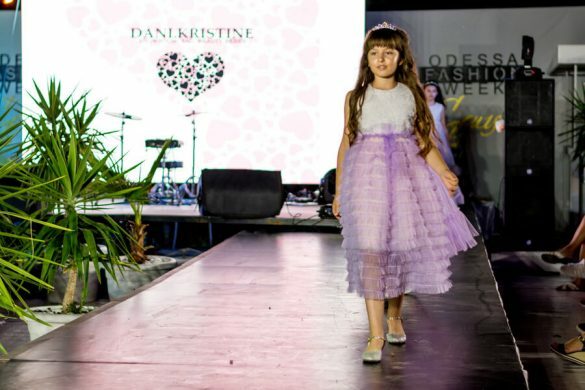 In the cruise season the Moldovan brand Dani.Kristine presented a collection of children’s elegant clothes, created with great love. The STARLET brand presented a collection of evening dresses from exclusive hand-made fabrics that are sure to become beloved and multifunctional, since capes, trails and skirts are removed, which makes it possible to modify the outfit depending on the mood and the event.